Looking for a good hotel in Shimla under Rs. 1500 or Rs. 2000? Here is one mid-budget hotel that Shimla visitors love staying at. Find out why people like Hotel Sangeet and see if it has everything you need to make you stay memorable. Hotel Sangeet has been able to provide consistently great hospitality. 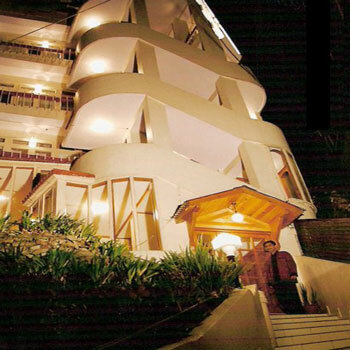 People who have stayed at this hillstation hotel agree that they would definitely stay at this hotel again. The last 3 years average guest rating has been at 4.5 star out of 5 which makes it one of the top tier hotels in Shimla in its price range. Hotel has 83% guest recommendation in 2013 which means almost 9 out of 10 guests consider their stay at this hotel as a good. Below is a brief summary of what people say about Hotel Sangeet and some of the reasons why we agree that it is a top rated hotel. Here is a complete list of Shimla hotels. Here is what guests say about Hotel Sangeet. "Wonderful Experience. Food is Good"
"Hotel is located on mall road and that is the plus point"
"Interior decoration and other facilities in the hotel are excellent"
"It was a delightful experience. The staff was friendly and the front desk was attentive and checked us in without much difficulty"
Here are a few things things some reviewers do not like about Sangeet. "Climb stair to get to the 2nd or 3rd floor" - but guests also say that "Whereever you go in Shimla, you will get 2nd or 3rd floor rooms as its hilly area"
"good service but not good parking facility... have to pay for parking"
"hotel is lacking a lift - adding a lift will make it more comfortable for families with older people"
What do guests love about Hotel Sangeet? Overall, we feel confident like most of our reviewers, that Hotel Sangeet is a great option for value travelers to Shimla. 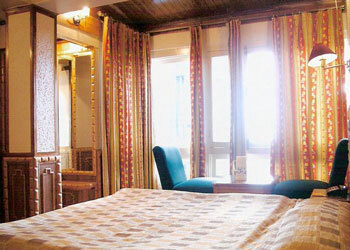 Here is a full list of all the above reviews of Hotel Sangeet, Shimla.